That’s the number of kits I have on the model shelves. I needed to condense the models on the shelves so that I could get more on them. They were also sharing the space with a lot of cat fur and dust so I decided to take the slew of them down, clean them and the shelves, and put them back on the shelves. 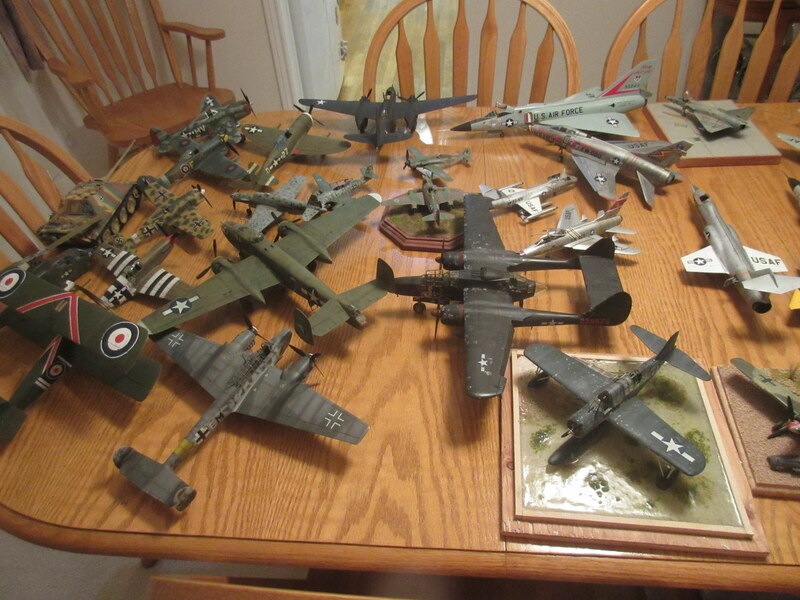 I took these photos of the lot parked on the dining room table, cleaned waiting for clean shelves. I was happy didn’t need to toss any of them. 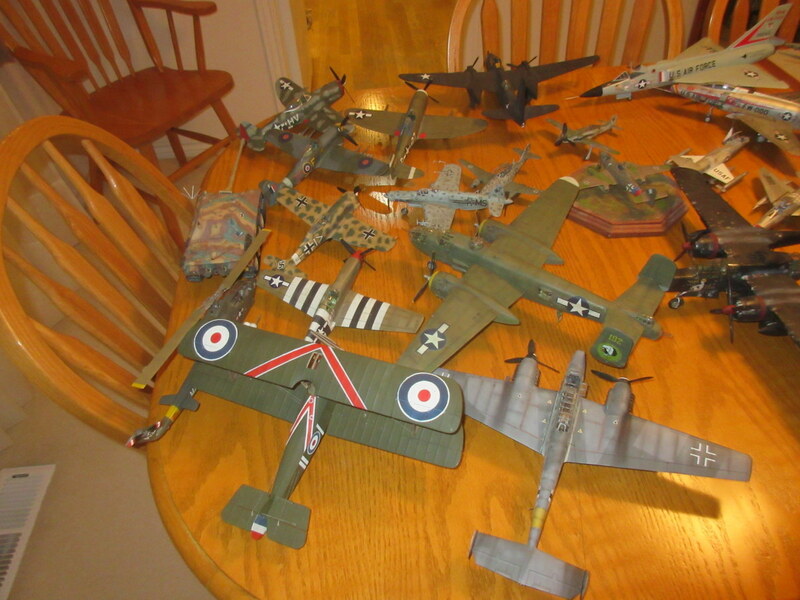 I built these over about 12 years. 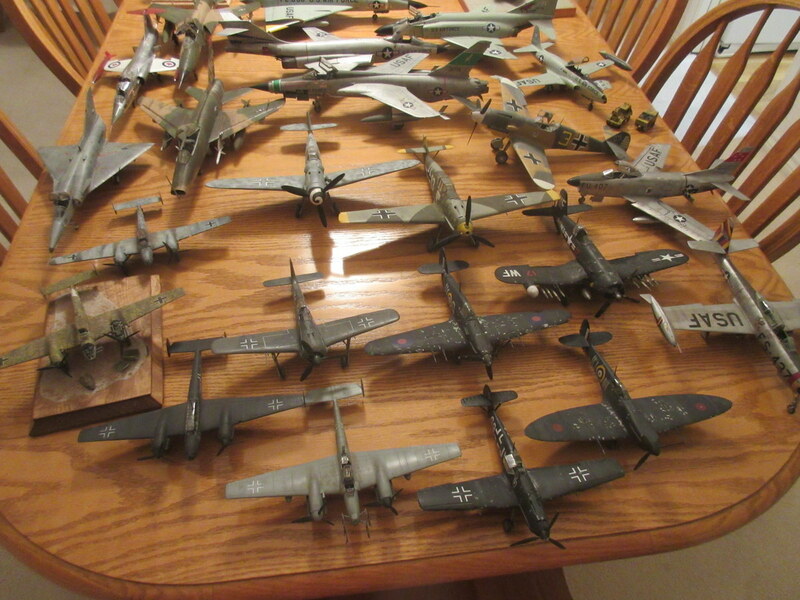 I have one in here that is about 25 years old and a complete set of Monogram 1/48 Century Series fighters. 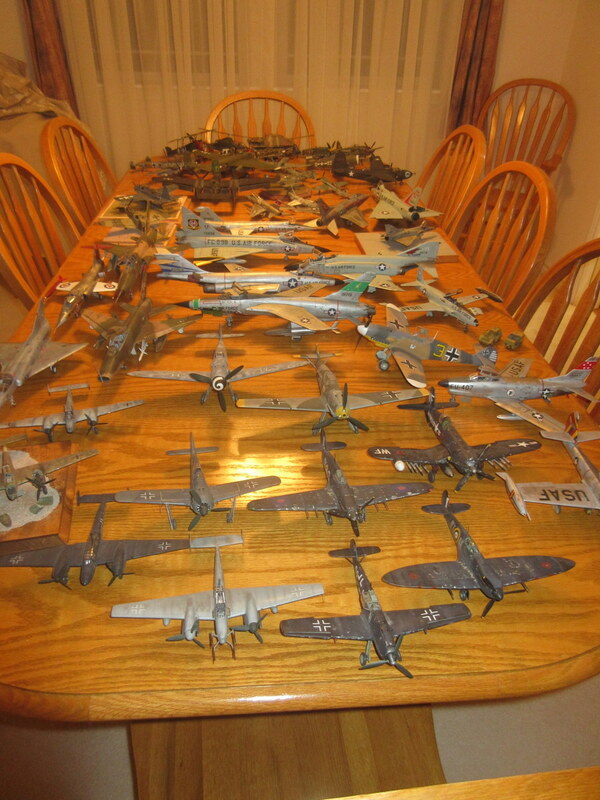 This entry was posted in Aircraft, Ship and tagged 50s jets, Black Aircraft, Desert Aircraft, Eduard Bf-110e, F-4D Phantom, Focke-Wulf Fw 190, Hasegawa 1/48 Bf-109, Hasegawa Bf-109E Trop, Hasegawa Hurricane, Kinetic F-21 kfir, Monogram Bf-110e, Monogram F-4D, Monogram Kingfisher, Monogram P-61, Night fighter model, ProModeler f-84G, ProModeler F4U-5N. Bookmark the permalink. I need to dust but it’s so time consuming. Good for you!